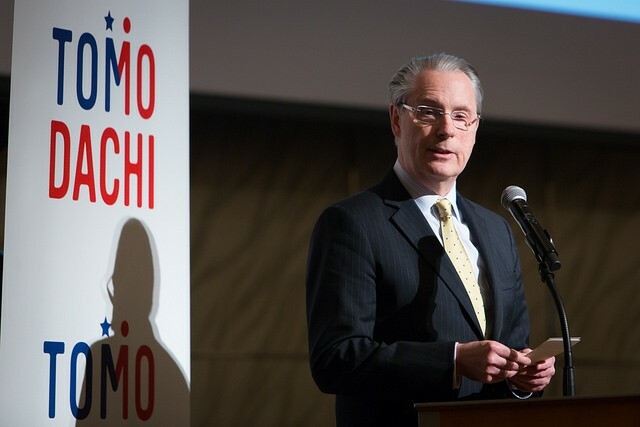 On March 9, the TOMODACHI Initiative held a reception and roundtable in Tokyo in commemoration of the sixth anniversary of the Great East Japan Earthquake. TOMODACHI announced further support for the rebuilding of Tohoku and the fostering of tomorrow’s leaders at the commemoration. The evening began with a roundtable discussion with U.S.-Japan Council (USJC) President Irene Hirano Inouye, Chargé d’Affaires Jason P. Hyland of the U.S. Embassy in Tokyo, Fukushima Governor Masao Uchibori, and five TOMODACHI alumni from Fukushima prefecture. The alumni shared their aspirations to become tomorrow’s leaders and shape the future of their home prefecture, and Governor Uchibori shared his delight in meeting such ambitious young leaders who want to give back to their communities. In addition to the roundtable participants, more than 200 distinguished guests attended the reception, including First Lady of Japan Akie Abe and Parliamentary Vice-Minister for Foreign Affairs Motome Takisawa. 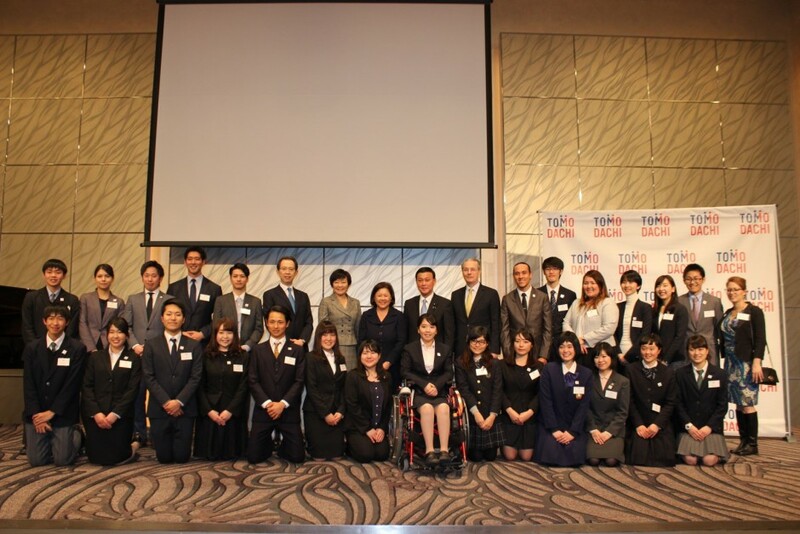 Representatives from TOMODACHI’s sponsors, partner organizations, and TOMODACHI alumni also attended, as well as the 2017 Japanese American Leadership Delegation. Three TOMODACHI alumni shared how their experiences abroad influenced their decision to become leaders of the next generation. Yuka Midorikawa, who participated in the TOMODACHI J&J Disaster Nursing Program, discussed how the program enabled her to face her regrets stemming from the Great East Japan Earthquake and turn her emotions into positive energy. ‘Alika Guerrero, alumnus of the TOMODACHI Inouye Scholars Program, shared what he and his fellow classmates studying the Hawaiian language at the University of Hawaii Hilo learned from meeting the Ainu people. Yu Awai, who completed the TOMODACHI Disability Leadership Program in America, read a poem she wrote about her disability and her experience at the training program in Boston. 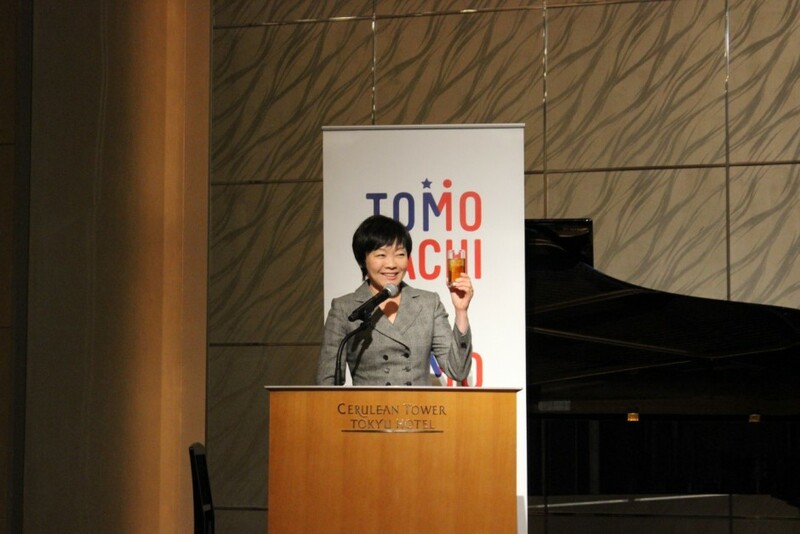 In addition to expressing her appreciation to the guests for their involvement with TOMODACHI, Irene Hirano Inouye announced the launch of the “TOMODACHI Alumni Regional Framework,” an effort to further strengthen support for the TOMODACHI Generation. This framework introduces new leaders in seven regions across Japan. 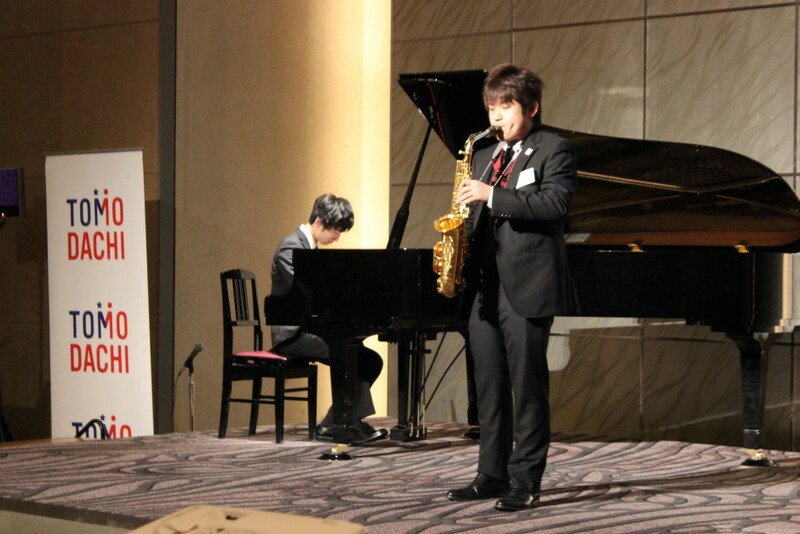 Afterwards, guests were entertained with a jazz performance by Shun Kumagai and Takeru Saito, a graduate and current student respectively, at the Berklee College of Music through the TOMODACHI Suntory Music Scholarship Fund.